Places to see at Latpanchar: Among the many villages covered with lush and lavish greenery Latkothi, Namthing Pokhri, Mana Hills, Ahal View Point deserve to be visited. Latkothi that was once a British residence is now a Forest Department bungalow. The house is surrounded by the vast stretch of Cinchona plantation that the British set up in 1920. The old bungalow is no more and it has been replaced by a new bungalow. 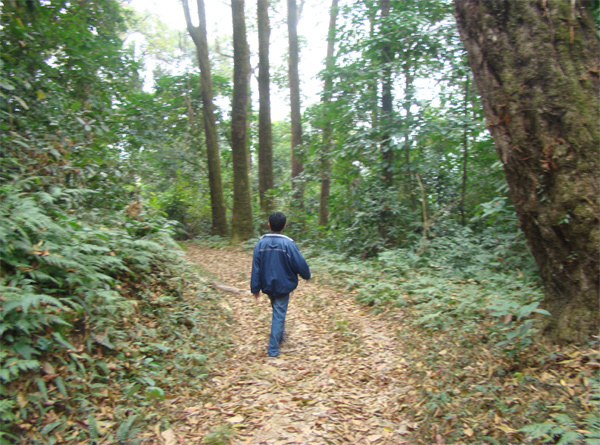 The way to the cinchona field is lined with a long array of sal, pine and teak trees. The way is suitable for a gentle morning walk. The surrounding remains resonant with the chirp of birds at daybreak. 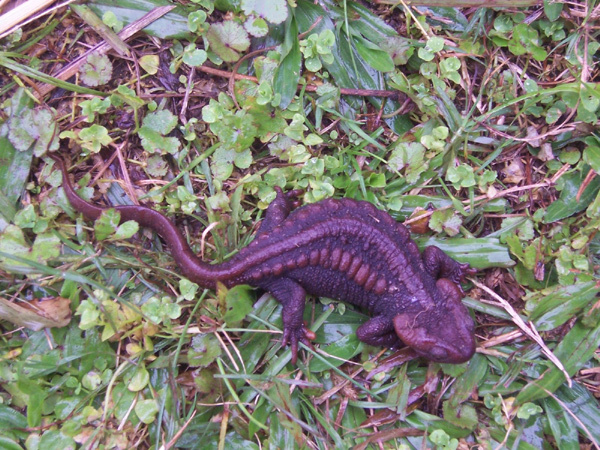 Namthing Pokhri, which is a small lake is one of the last natural habitats of the famous Himalayan Salamanders and if you are lucky enough you can catch a glimpse of this endangered animal. There is a 150-year old Buddhist monastery near this Pokhri and a view point which has excellent views of Mt. Kanchenjungha. There is a Lord Shiva temple at the peak of Raja Rani Hill. Locals visit the temple to offer flowers at the obedience of the Lord. Ahal View Point that is locally called Sansaridara View Point is an obsession of Latpanchar with tourists. On a sunny day, from Ahal you can drink to the gripping glimpse of Mt. Kanchenjunga, Dooars, Terai plains and the Teesta River. Nearby Attractions of Latpanchar: At Mongpoo, you would find the famous house of Rabindranath Tagore just 35 kms via Sitong and 45 kms via Rambhi. Sitong is another nearby village of Latpanchar, which is famous for its orange orchards and natural extravaganza. You can continue further to Chatakpur near Sonada and further to Kurseong. After coming down to Sevoke, you can visit another nice destination called Mungpoo. Things to do at Latpanchar: A track through pine forests and Cinchona Plantation leads to a lake, Namthing Pokhri, which is the natural abode of Himalayan Salamanders. Guests can take an early morning car ride to this lake just 3 kms away and visit the view point to catch a mesmerizing sunrise and Mt. Kanchenjungha. Bird watching and jungle trekking is the most favourite activity at Latpanchar and nearby Mana Hills is a favorite haunt with bird lovers. The entire region teems with swallow, swift, thrush, sunbird and babbler. Mahaldiram Tea Estate is a fascination with adventure-loving tourists. As Latpanchar is within the Mahananda WLS, so wildlife is also abundant – squirrels, deer and even elephants can be viewed occasionally around Latpanchar. How to reach Latpanchar: Latpanchar is 41 kilometers from the heart of Siliguri. It is located at the height of 4,500 ft from sea level. 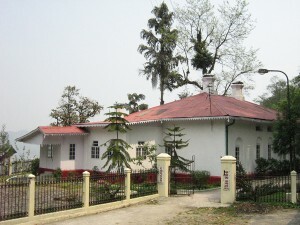 It is at a distance of 13 kilometers from Kalijhora. There is no bus service on the route to Latpanchar. However, car service to the place is available in Siliguri. The nearest railhead of Latpanchar is New Jalpaiguri. You have to take NH 31A and reach Sevoke just 22 km away. From Sevoke, you have to rach Kalijhora 5 km away and then take left turn by leaving NH 31A. After driving for next 13 km and you would reach Latpanchar. Best time to visit Latpanchor: The suitable time to visit Latpanchor is between October and April. During this time, Latpanchar remains free from bad weather. Lodging & Dining facilities at Latpanchar: The accommodation facility at Latpanchar is in wood cottage home stay. There are three triple bedrooms in the cottage. The rooms come with wall to wall carpet, electricity, hot water and western attached toilet facilities. Home cooked vegetarian as well as non-vegetarian food is served here in traditional way. However, guests with specific food requirements need to inform the Homestay authorities in advance. This site is wonderful. I learned about 9 new weekend trip spots in just 15 mins i have been browsing this site. I really liked the spot lulung and would love to visit it soon. Just to add some more to the info you have on Latpanchor, I would love to mention the following. I know these as I visited Latpanchor last year. The trekking route from Latpanchor to Kalijhora is downhill but tricky. There is a good chance of bird watching. 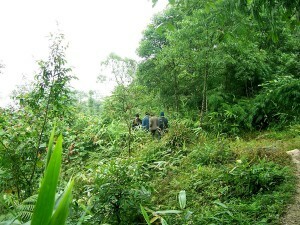 It is wise to penetrate into the deep of jungle with an armed guide. There is a zone of wild elephants at Latpanchar. You may find yourself in trouble with a pack of elephants due to a little bit carelessness. You have to be cautious at every step while wandering in the jungle of Latpanchor. It is good to carry some salt to get rid of leeches. Hope these are helpful for the people who will visit latpanchor in future. If anyone has visited Lulung at Orissa and knows vital tips, please comment about it on the Lulung page (http://weekenddestinations.info/?p=250) on this website. It will be helpful for travellers like me. Great that you liked the website. We keep adding new destinations every month. Please revisit soon and you will find more new weekend trips added to the site. Also thanks for adding the helpful TIPS on Latpanchor. They will surely benefit new tourists to the spot. 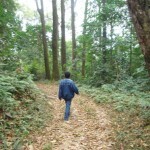 I want to know contact and tariff of forest bunglow at latpanchar.plz reply soon. Terrific, that’s exactly what I was looking for about latpanchar! You just saved me alot of looking around. This site is awesome. It has been a great help to me (nature lover & amateur photographer) finding new off beat locations. Special thanks should be given to the Admin people for providing detailed informations and also updating about new off beat locations.